Barley has been cultivated in Estonia longer than any other crops – for over 4,000 years. And pearl barley has been a staple food for Estonians through the ages; it has even been a food fit for celebrations. In the olden days, the tradition in Estonian villages was to make sauerkraut soup with pork and barley groats on Thursdays and Sundays. Pumpkin became a commonly-used vegetable in Estonia in the 1920s–1930s. 1. Peel and chop the pumpkin into pieces. Place on a baking tray and sprinkle with oil, honey, thyme, salt and grated nutmeg. Cut the garlic cloves in half and add them also. 2. Roast in the oven at 180 ºC for about 30 minutes or until soft. Let the pumpkin cool and remove the thyme and garlic. 3. Mix the oil dressing: add all of the components together and season with salt and pepper according to taste. 4. Soften the sauerkraut by crushing and kneading between your fingers or pounding with a fist. 5. 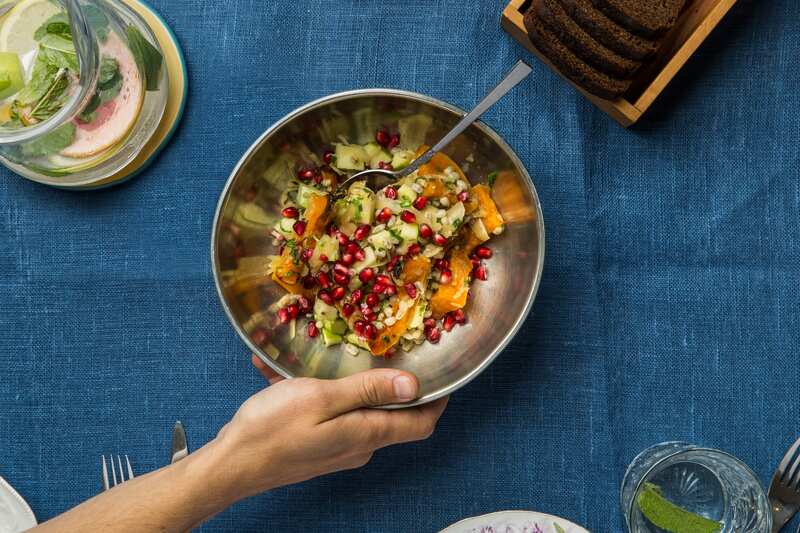 Chop the green onion, peel the pomegranate, wash the apple and chop into 5 mm cubes. 6. 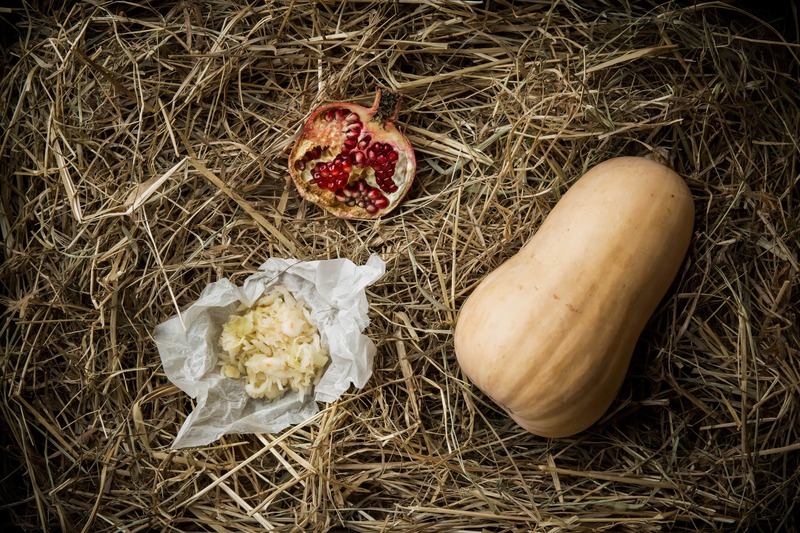 To serve: mix together the cooled down roasted pumpkin, pearl barley, chopped green onion, sauerkraut, pomegranate and oil dressing. Add salt and pepper to taste.